Have you tried flight control apps such as Flight Control but want more action in your game? That’s what AirAttack HD is developed to offer. 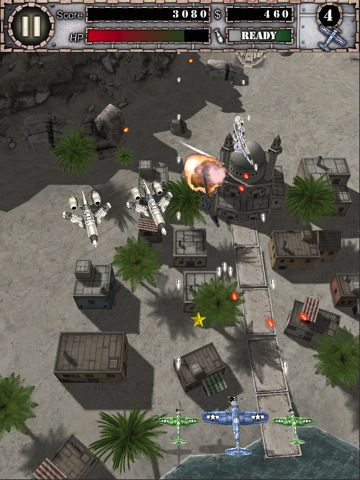 It is a high quality 3D air fight game that has the looks and game play to keep you entertained for a while. Sometimes, you want games that let you blow things up and cause some major destruction. In that case, this app may be for you. 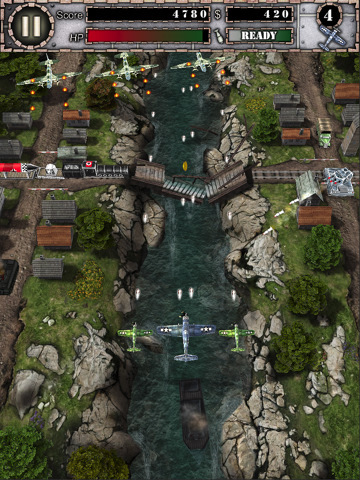 AirAttack HD, as the game suggests, is action packed and intense. It has 58 different types of enemies for players to battle. Players get to tackle 8 missions with 3 difficulty modes to choose from. Let’s not forget about all the cool weapons players can use to defeat enemies and blow things up. I was very impressed with AirAttack HD’s graphics. The controls make it easy to make maneuvers and kill as many enemies as possible (you can touch, tilt, or use the joypad). Into blowing things up? You can always attack buildings and bridges. The 8 bosses you will have to deal at the end of each level won’t be easy to kill. If you are into shooter games with a lot of action, you can’t go wrong with AirAttack. It has the looks, the game play, and the levels to keep you coming back for more.